Rumor is that the party of the year was today. We have all heard that the price tag on this little soirée will top $150 million dollars when the receipts come in. Now myself, I wasn’t invited so maybe you are thinking I have a chip on my shoulder. No, I assure you. That is not the case. I have heard all the comments about where the money is coming from to fashion reports on what the first family is wearing and I think it is all so jarringly surreal in light of America’s economic status today. It is irrelevant that this number is or isn’t higher than his first party, or any of Clinton or Bush’s parties for that matter. I think the point that many are trying to make here is that this isn’t a discussion of party politics, this is 2013, not 2005 or 2009, and AMERICA CAN NOT AFFORD to throw a party of this magnitude this year. Like many Americans and others around the world, I am having trouble understanding how Washington can celebrate when the statistics show that America is still hurting. I cannot begin to comprehend a leader and his entourage who can, without the slightest bit of guilt, plan and party with this decadence when millions more Americans can’t find jobs to feed their families, when the price of gas has nearly doubled during his term, and almost every citizen has felt the pains of trimming their own budget since four years ago. What so many Americans, including myself, would have respected, admired and applauded would have been a leader who said “No, we can’t afford this, we will have to do something smaller.” It doesn’t matter that the party itself is paid for by contributions; the reality is that the bulk of the expenses come from America’s taxpayers and our seriously over-spent budget. Wouldn’t it have been nice to have heard the sweet words, “No, that doesn’t fit our budget’s priorities”? Interestingly, in times of hardship a few of America’s Presidents have said “No, we must do less.”, and although forgotten by many, they made the right decision for our country. Well, party on Washington. The hang-over may last longer than you think. Lisa, you are voicing what all sensible women are thinking. Thank you and God bless. I totally agree with you. Althougt, this is what you expect from a dictator want-to-be. You would think that someone is Washington would realize how loudly actions speak! Parties and expensive vacations when many people are losing everything they have worked for! Gun control for all of us “subjects” when the first family is guarded 24 hours a day! Extreme cuts in defense of this country when our soldiers are dying! It just goes on and on. Lisa, when you have time, read the English version of the Russian newspaper Pravda at pravadaru.com to see what the Russian citizens are saying about this country and our “freedoms.” Quite an eye-opener! Keep posting your opinions and praying for our country! This is just another “Do as I say but not as I do”. Just showing us more disrespect & not caring how we feel. The fact that seniors are constantly threatened to not get the social security that they paid into & threats about withholding military pay in some cases is just the typical DC standard. I for one am not in the least impressed with what we paid for! Some things we cannot afford to do and other things we cannot afford not to do. President Obama’s Inauguration Party is one that had to be done. Both in appreciation and celebration of our country’s great history and for the ‘new birth of freedom’ his successful campaign represents for ALL Americans. Do you really think that if Mitt Romney would’ve won the election that his party would’ve been any less? 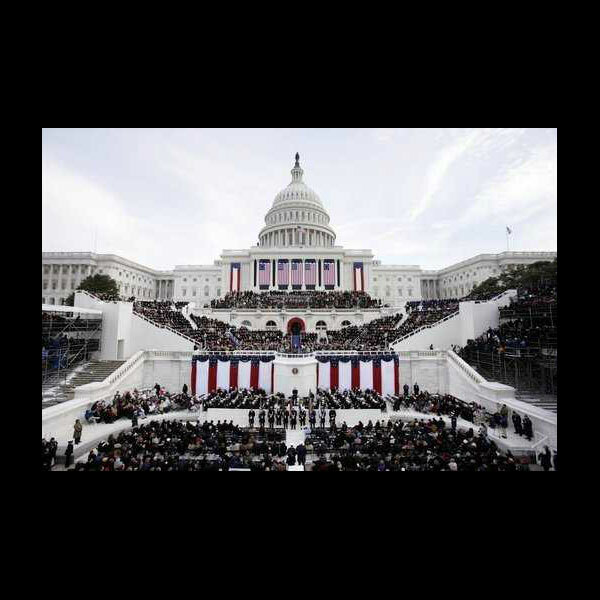 It’s long been my opinion a second term inauguration should be “less is more”. Roughly 50% of the money came from private donations, primarily corporations wanting to curry favor with the current government. Would not have been any diffeent if Mr. Romney had been elected. Power is bought and sold in the seat of government, it’s been that way since ancient Egypt. It has nothing to do with the people or their condition, it has everythoing to do with power. I was wondering if it was just me thinking along these lines. If you’ve ever seen a broke couple go into further debt throwing a wedding they can’t afford while everyone looks the other way as the train wreck unfolds? You get how I feel about what went on in DC last week. And, to have a fair share of common sense sprinkled around – because apparently it is a rare commodity — I do believe a fella could walk out of his office, get into his car, drive a mile, get out, do his public do swearing in, could deliver a fireside chat of thanks to his supporters – and walk straight back into the office he JUST walked out of – on the public media’s tab and for far less than 150 million buckaroos. Talk about campaign promise fulfillment and winning the appreciation of the voting public — and opportunity LOST. In retrospect, the vision and practices of Marie Antoinette didn’t work so well for her longevity. On the other hand? the orchestra was playing full swing when the Titanic was sinking. Well thought out and spoken! Whether Obama or Romney, even if “private donations” were funding in part or bulk, …you can still turn down a Check, still point to doing what’s Right, …be a Leader of Character. …OR, the choice can “Party On Dude!” in narcissitic orgies. …except, well, a Righteous Leader wouldn’t have done that. BTW, just heard your husband’s concert in San Antonio, he’s got a great voice, professional presentation, and sings some songs with good lyrics!